Mr. Shuwa said the remains of the late politician would be brought back to Maiduguri, the Borno state capital, where he would be buried at 4.PM. Saturday (today) according to the Muslim right. 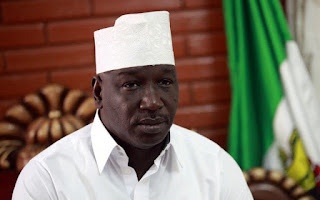 The statement reads, “It is with deep sense of utter shock and disbelief but with complete submission to the will of the Almighty Allah that the Borno State Government hereby announces the passing away of His Excellency, Alhaji Zannah Umar Mustapha, the Deputy Governor of Borno State. “He died in his sleep this morning in Yola, Adamawa State where he was to represent Borno State Government at the convocation ceremony of Modibbo Adama University of Science and Technology, Yola. “He was also scheduled to follow up on his earlier visit to Yola, in connection with the welfare of Borno State citizens internally displaced as a result of the Boko Haram insurgency. “His remains would be brought to Maiduguri for funeral at the Government House, Maiduguri at 4pm today, Saturday, 15th August, 2015. He will be buried in Maiduguri. “His Excellency, Hon. Kashim Shettima, the Executive Governor of Borno State, expresses his heartfelt condolence to the family of the Deputy Governor and the entire people of Borno State for the irreparable loss and appealed for prayers for the repose of the soul of our late Deputy Governor. Secretary to the State Government.